This year’s Man Booker International Prize shortlist has five women from around the world. Of the six writers selected, five are female nominees for this year’s prestigious literary award, news agency AFP reported. The British-based prize celebrates the translated English-language versions of novels from around the world. Polish novelist Olga Tokarczuk, who scooped last year’s Booker Prize for fiction, was named among five female nominees for this year’s prestigious literary award. Tokarczuk, who won the 2018 award with the translation of “Flights”, is nominated this year for “Drive Your Plow Over The Bones Of The Dead”. 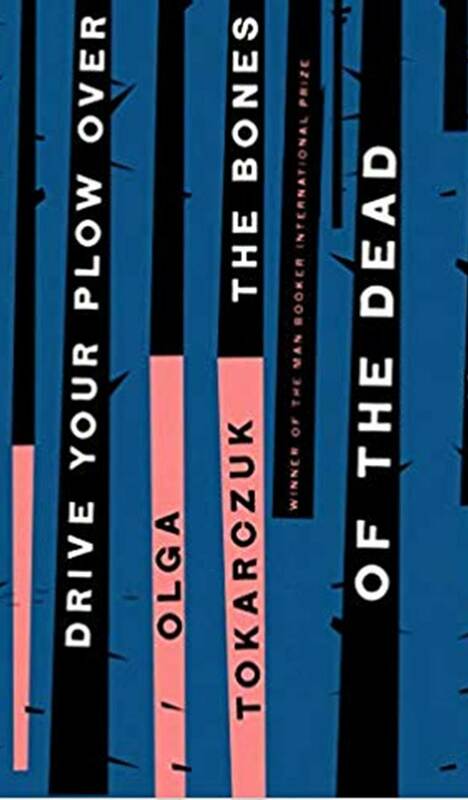 “Drive Your Plow Over the Bones of the Dead” by Tokarczuk, is considered the most talented Polish novelist of her generation, starts with the disappearance of an eccentric woman’s dogs. When two local hunters are murdered, she is drawn into the investigation. She is nominated alongside Jokha Alharthi from Oman — the first shortlisted writer from the Gulf — France’s Annie Ernaux, Marion Poschmann of Germany, Juan Gabriel Vasquez from Colombia and Chile’s Alia Trabucco Zeran. Alharthi’s “Celestial Bodies”, translated from Arabic, tells of Oman’s transformation through the loves and losses of three sisters. Ernaux’s novel “The Years”, originally written in French, is a narrative of France from 1941 to 2006, told through memory and impressions of the past. “The Pine Islands” by Poschmann, who has won both of Germany’s premier poetry prizes, is about a journeyman lecturer who flees his cheating wife for Japan and goes on a pilgrimage following the travel writings of a poet. “The Shape of the Ruins” by Vasquez is a fictional account of his investigations into conspiracy theories surrounding the assassinations of Colombian politicians. “The Remainder” by Trabucco, also translated from Spanish, tells the story of three children of ex-militants overcoming Chile’s complex past. The winner will be announced in London on May 21. The 50,000 pounds (USD 65,000, 58,000 euro) prize is divided equally between the winning book’s author and translator. It is open to books translated into English and published by British publishers between May 1, 2018, and April 30, 2019. 1 Having a writer's block? How about visiting a writer's retreat for some inspiration?